Each of the 8 Bagua Animal Forms has two 'entering' or 'opening' methods. 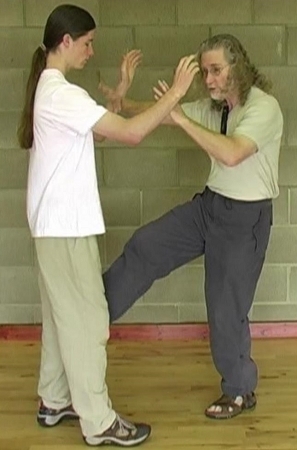 These are methods that allow us to get in to an attacker who has a solid on-guard stance who would otherwise be impenetrable. We have a closed side offensive and an open side offensive method for each animal form. The Dragon leaps, undulates, twists and changes. he is unpredictable. The hawk is brave and courageous and fights to the finish to save his family. Spinning & Turning over, using a chopping method is his way of fighting.